Pastors long to connect with a coveted demographic – young people in their 20s landing their first full-time jobs and charting independence while searching for community. Yet few church leaders have the insights or tools they need to reach this emerging generation of adults, who are often absent from church life despite their deep concerns about faith. 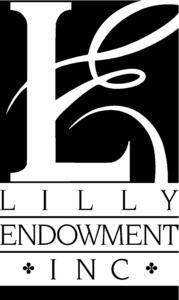 In an effort to inspire and equip congregations, Lilly Endowment Inc. is launching a $19.4 million initiative to help religious leaders reach young adults and work with them to create new ministries. Saint Meinrad Seminary and School of Theology, St. Meinrad, IN, has received a $1.38 million grant from Lilly Endowment to begin an initiative intended to improve parish outreach to young adults and better engage them with the Catholic Church. Beginning in 2017, Saint Meinrad’s new program will identify and partner with area Catholic parishes to explore the demographics of their communities and educate them about the marks of young adulthood. Saint Meinrad will then help these parishes to create a specific plan to engage young adults. Through outreach into the local community, hosting events that include prayer, worship and fellowship, the program will help parish congregations to form young adults in discipleship by creating service and study opportunities. Another part of the initiative will be to assist parishes in mentoring young adults in the rituals of daily life in the domestic church (the church of the home). The aim is to help young adults to form a sense of community and Catholic identity in their homes, eventually leading them back to a parish congregation. Becht is the director of Saint Meinrad’s “One Bread, One Cup” program, which conducts five-day liturgical leadership conferences each summer for high school youth and their adult leaders. She will oversee the young adult initiative.